Preparing yourself to enter a fitness competition is probably one of the toughest challenges you will ever endure, but it’s also one of the most rewarding. Not to mention, you’ll also get in great shape! 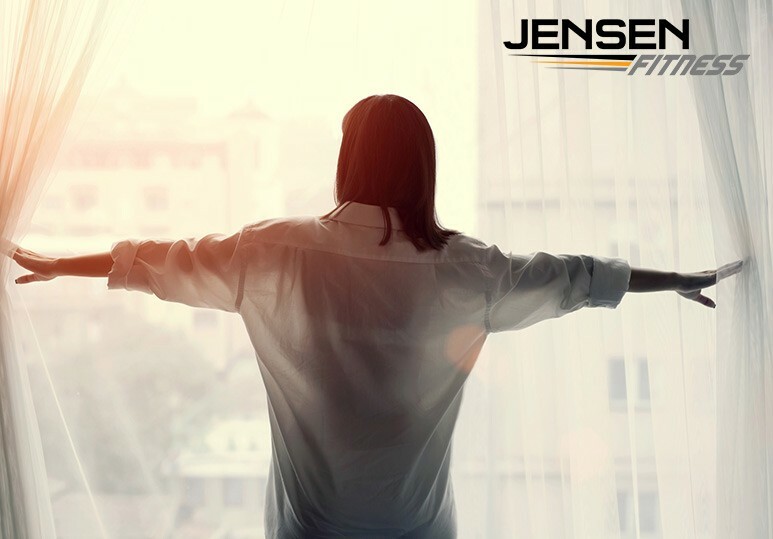 At Jensen Fitness, our dedicated personal trainers can design a custom weight loss program best suited to your individual needs and guide you through the stage prep process to ensure you’ll be ready for the big day. When training for a fitness competition, it’s important to be equipped with the knowledge of how to prepare effectively. Whether it’s working with your personal trainer to develop the best weight loss program or making sure to do your stage prep, proper training helps maximize your potential and ensures that you arrive at the competition full of self-confidence. 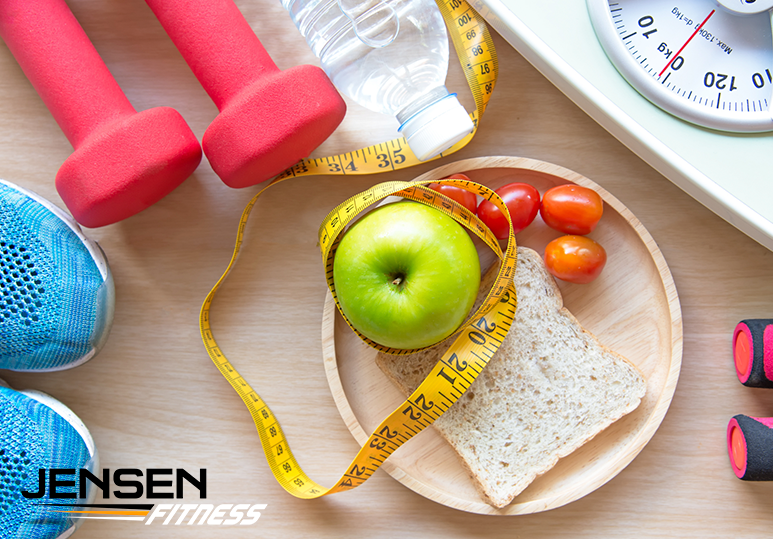 Here are some of the steps to take when getting ready for a fitness competition. The first step in preparing for a show is to choose an organization and division in which to compete. Attend local shows in your area and research the different organization websites online. Talk to your personal trainer and check out photos from the shows you are looking to enter to see what the desired look is, and decide if you are likely to attain that. Once you have decided which show you are going to compete in, it’s important to start mapping out the first stages of your training and weight loss program. The extra support from a nutritionist or a personal trainer who is skilled in the type of show you want to take part in is very helpful and goes a long way to helping you achieve your goals. Need help creating a nutrition program that will help you achieve the best weight loss results? REMEMBER: Make sure to drink one gallon of water per day. Consistency is the key to any successful nutritional program and working with a personal trainer keeps you accountable and on track, helping you reach your nutrition plan and fitness goals and beyond. Devise a fitness program that suits all your individual needs. Cardiovascular exercises are important to burn fat. Weight lifting should focus on repetitions to tone muscles rather than increasing muscle size. Make sure to keep a training log to document your fitness workouts as this ensures you train effectively and maximize the time you spend working out. If you’ve never competed before, stage prep is extremely important and you should begin learning and practicing your poses immediately. These differ depending on the show so make sure you do your research and ensure you’re meeting the exact requirements for presentation walks and routines. Ideally, you should practice your poses 1-2 a week, holding each pose for approximately 30-60 seconds and repeat this 3-5 times. Make sure to observe yourself in a full-length mirror and be sure to practice in the actual shoes you’ll be wearing at the show! Practicing with your personal trainer is a great way to enhance your stage prep. Ask them to take photos or a video of you so that you can assess your poses and make the appropriate changes. Our Calgary Personal Trainers Can Get You Competition Ready! Whether it’s stage prep or designing the best weight loss program for your specific needs, our Calgary personal trainers can help you successfully combine the many components involved in a well-rounded competition training program. We customize all weight loss plans and workouts to meet your unique fitness goals and make sure you look your very best on stage! To find out more about how we can tailor our fitness and weight loss programs to help you achieve all your goals and get you competition ready, contact our Calgary personal trainers at 403-200-0199 or fill in our online contact form.